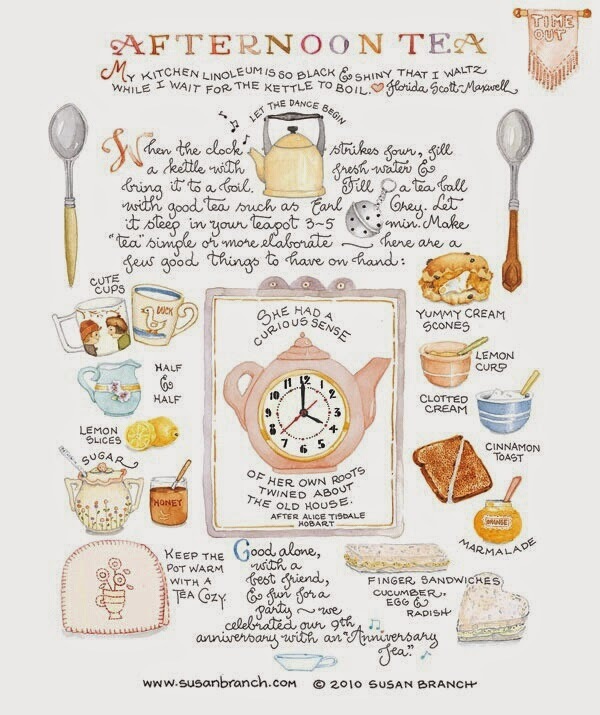 Photo Gallery Tuesday " Afternoon Tea"
I found this wonderful afternoon tea poster by Susan Branch who has lovely books and accessories available at her website. I love the whole look of her work, it is so fun. I had to share this one, since most of us on the this blog are obsessed with afternoon tea! Be sure to check out my list of top 10 Afternoon Teas in the city HERE. Garden Tea at Philadelphia Flower Show Alice's Tea Cup Stegmaier Mansion Valentines Day Tea A Harry Potter Tea Cupcake Tea at the Ritz Carlton Central Park What is your favorite place for Afteroon Tea? I cannot get enough of this nor the clotted cream !! I still have many more places in New York City to check out afternoon teas! !